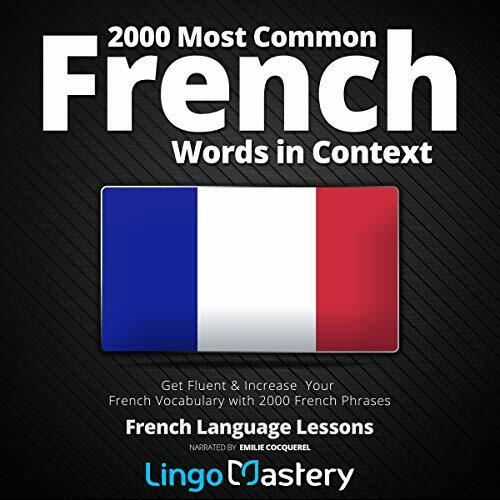 Have you been trying to learn French and simply can’t find the way to expand your vocabulary? Do your teachers recommend you boring textbooks and complicated stories that you don’t really understand? Are you looking for a way to learn the language quicker without taking shortcuts? If you answered “Yes!” to at least one of those previous questions, then this book is for you! We’ve compiled the 2000 Most Common Words in French, a list of terms that will expand your vocabulary to levels previously unseen. Did you know that - according to an important study - learning the top 2,000 most frequently used words will enable you to understand up to 84 percent of all non-fiction and 86.1 percent of fiction literature and 92.7 percent of oral speech? Those are amazing stats, and this audiobook will take you even further than those numbers! In fact, we’re ready to turn you into a French speaker… are you ready to get involved in becoming one? Wohhhh imagine my surprise when I realized that the book comes with a ebook version of the audio so I could read while listening! That is genius! I'm far from done with the book but this totally made my day, lovely idea! Lingo is the best way to learn!! 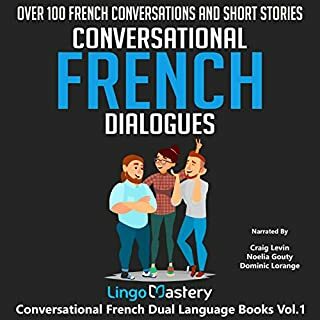 I've listened to a couple of Lingo Mastery language audio books and what I love about them is I'm learning without working hard at it. The repeat listening helps me retain the information in no time. Plus the narration is crystal clear and easy to follow. I can't recommend these book's enough. If you have to learn a language quickly? This is the formula to follow. I was given a free copy of this book at my request and have voluntarily decided to leave this review. three chapters of introduction . This is less useful without the pdf text to follow the audio. I got this ARC via audiobook boom and this is my voluntary review. This book helped me so much as I try to maneuver the language. I am in my mid-sixties and took three years of French in high school and have never had the opportunity to use it since until now. My granddaughter is taking French in high school and now I am learning what I learned way back then. The accompanying PDF is a great help. The narration helped me pronounce the words correctly as well. Now my grandson has decided he will learn Spanish. Here we go again. Hope this author has a Spanish version. Connaître deux langues permette une culture développée. We live in a world where people are so self-centered. Nous vivons dans un monde où le monde est trop concentré sur lui-même. This book pushed to remember my early French lessons, while in refuge in Guinea in the 1990s. I said, oh how I wish I had this kind of information those days. Also, it is now serving me as a knowledge booster as bilingual person. There are some information or translations that most of us have committed such faux pas in our translations before, however, with this now, those mistakes, and bad translations will become history of the past. You know what? Whenever you want to learn French as a second language to add to your International, please consider the series of this book. It has a student teacher relationship. You’re hooked into traffic, this book will serve as your teacher while you wait for the deadlock to open up. 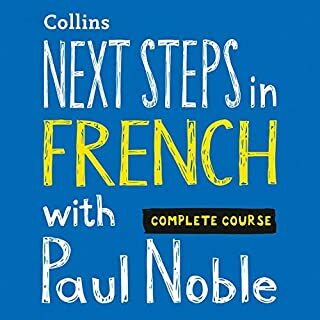 It’s not essential for beginners, but intermediary steps in your French learning, this book can help cover many potholes in your French and make you sound as professional like never before. 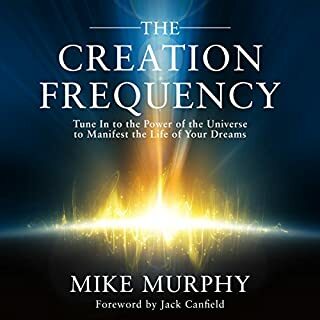 I hope you enjoy my humble story on how I enjoy the journey of this audiobook. Stay blessed and have a wonderful encounter with your audio French teacher. 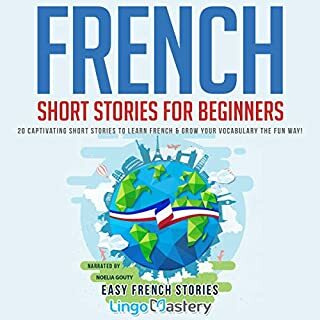 It is best to be in France and to always speak French to learn a language quickly. your ability to speak the language. 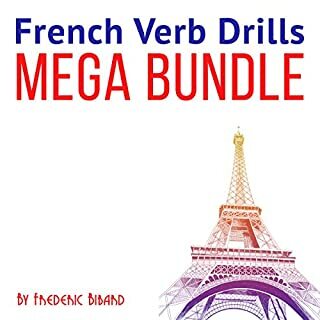 Great for learning french grammar and vocab. 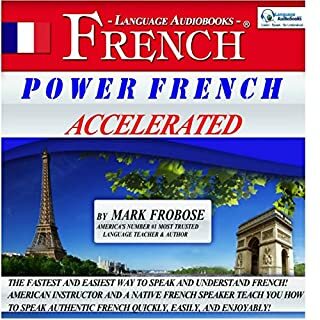 I have been using this audio book, which includes a pdf so you can also read along, and duolingo to learn the French language. Together, they are a powerful tool. 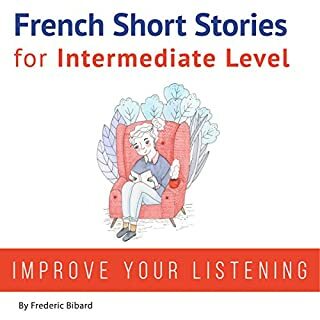 If you only wanted to use this audio/ebook I think you can manage fine as the early sentences focus on easy and common words like a, at, want, like and ect. What makes this really helpful is the pdf that is included. It has the french sentence followed by the american translation. You can slow the speed down of the audio and really follow along to see how each word is pronounced. This is a very powerful tool for beginners and I highly recommend it. 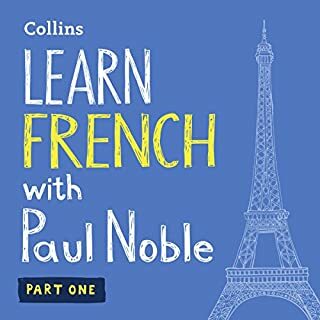 I am still a beginner when it comes to learning French and I found this audiobook made it so much more possible for me to recognise words within sentences and conversations and from there, it becomes much easier to understand what is being spoken about. I received a free copy of this book for an honest review - and I am very happy I did - this book will remain in my library and be used for much time to come - it's a big resource. 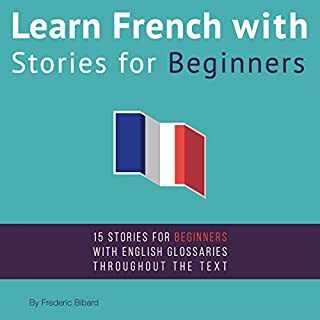 I enjoy learning languages, especially French. I find it is helpful to listen to the audio version of a book, while reading along with a copy of the book itself. It is also helpful to hear the words in French being properly pronounced. 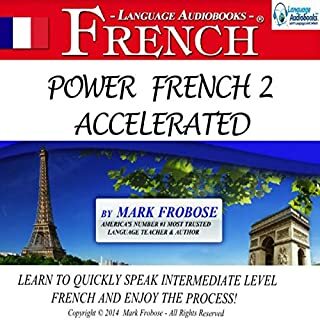 This is a valuable resource for anyone interested in learning French, or improving their current level of French. Highly recommended. Splendid! Hautement recommandé. Splendide ! A lot of unhelpfull information. Very fast and difficlt to follow. Introductions is terribly long and unhelpful.